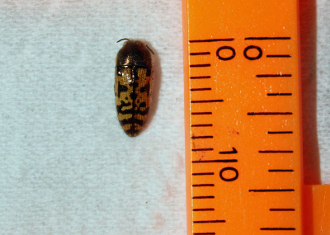 Present specimens are small, about 4 mm long. Usually we ship specimens in the genus Acmaeodera. Please note that colors may vary wildly from specimen in photo on this page.